Stel’Air Folding Desk Bike is top quality, very popular and ON SALE NOW! The desktop is user friendly and has accessories that allow you to make it wider if that is what you choose to do. Pedalling while working is easier if you don’t’ have to worry about stuff being pushed off your desk. Without the usual need to choose between getting your work done and doing whats right for your body, the work gets done. Work is usually on the top of the “needs” list even if it isn’t on the “wants” list. For years people have neglected their bodies and incorporating a desk exercise bike into your life can help get that body back. Choosing between the brands of desk bikes can be a little confusing. Some of the things that sets them apart is simplicity of assembly, maximum user weight, and do they fold up to put out of the way. The ability to put aside when not in use can be a blessing or a curse, this depends on your needs and commitment to incorporating active office incentives into your lifestyle. Does a Desk Bike Work? Just having a FitDesk in your workspace won’t ensure it gets used. Like other forms of stationary bikes it could get used as an expensive clothing rack. Folding it up and putting it aside also means there is one more step needed to reach your fitness goals. Using the folding desk bike effectively means it has to become a habit. One suggested ways of doing this is to schedule certain tasks to be accomplished during pedalling time. The work that can be accomplished while pedalling depends on two opposing things. First, how hard do you want to exercise while on your FitDesk and Second, what are the work needs. click here to get Free Shipping Too! If you work in a more formal office setting where you where a suit then you won’t want to work up a sweat during your work hours. You also won’t want to be wearing a pencil dress and then try and straddle the bike seat. Other than the issue with wearing a skirt, dressing formally for work is ok with pedalling a desk bike while working. 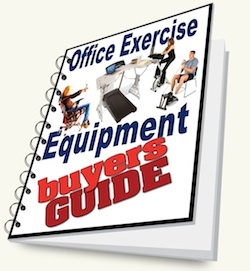 Active office equipment isn’t about sweating, it is about movement and removing the known hazards of sitting disease. Basically, doing something is better than nothing. Of course any type of pedalling will make you breathe a little harder so talking on the phone may not be one of the tasks you want to do. Plus you might also find it difficult to write with pen to paper as well. Other than those two activities there shouldn’t be too many hurdles to exercising while working. Typing out emails, work reports, or finding and printing documents can all be done easily from your laptop on the desk bike. Easy and moderate pedalling that won’t make you break into a sweat is still pumping the blood and giving leg resistance that can help prevent such horrific things as thrombosis. The minor movements are still increasing the number of calories you would normally burn and weight loss could very well become a side effect to the activity of daily pedalling at your desk. Like it’s competitors it is a fold away desk bike. The desk surface is solid and there isn’t an app for the fitness function of the bike. The resistance on the bike is magnetic so it should be quiet to operate. This will allow the user to either pedal while at work or at home watching their favorite movie. The fold away function allows for easier storage and there are little wheels at the back leg to tilt and roll away easily. It doesn’t fold flat so it can’t slide under the bed but the footprint is reduced enough to push in next to a cupboard or by the desk. The folding feature is like an old style ironing board. Pull a pin to fold and put the pin back in so it doesn’t unfold. The bike itself weighs just under 50 lbs so moving it on its wheels is pretty easy. Is the FitDesk Stable to Operate? Most any small stationary bike will rock if it isn’t pedalled correctly. If the bike is rocking there are two things to check. One is to ensure the legs are on a level surface. The other is to ensure that you are pedalling with your legs and not rocking your body from side to side. The frame of the bike is built for persons up to 250 legs and is strong. The seat is easy to mount so there should be no need to pull on the bike like a horse saddle and pulling it over. Sitting on a bike seat will get uncomfortable after awhile but most seem to find the seat comfortable enough for an hour or two pedalling while working. For people who need a little additional padding there are seat accessories available for stationary bikes that will adapt to the FitDesk. The crossbar on the bike can limit who can use the bike. For example if you have short legs or unable to move your legs easily, this may be more of a hurdle than you will be comfortable with. The desk part has “massage bar” attachment in the front. The idea behind this is to allow for an armrest or forearm massage while typing on the laptop. What Size Persons Will the FitDesk Fit? 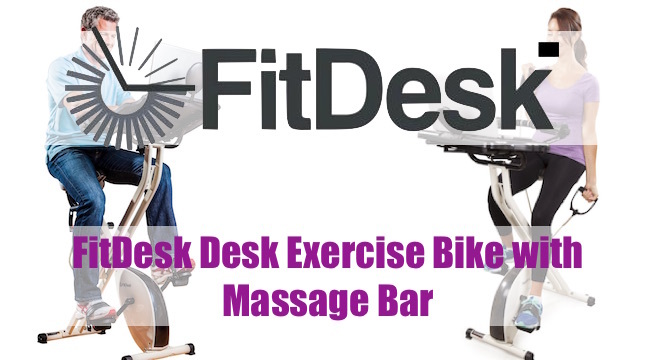 There are several adjustment options what come with the FitDesk. Because of this, persons who are 4 1/2 feet to 6 1/2 feet are reportedly comfortable riding. However, the seat is what is moved up or down to accommodate the various heights so some folks might find the desk too low or too high depending on their body configuration. Once the bike is set up for comfort with the desk in position then it’s just a matter of hopping on and off. One unfortunate drawback to having easy adjustable parts is when you are in a shared environment where others mess up your settings. Losing weight while using a stationary bike depends on many things including calorie intake and calories expended. That aside the simple answer would be “yes”. Adding a cardio activity to a persons workday will assist in weight loss efforts. How to lose weight is a little more complicated that that but the display console on the FitDesk will help keep track of calories burned, time, and distance travelled. Using these numbers a person could easily combine this with other weight loss efforts. The console on the bike is in the front and can be watched while pedalling. Using the display you can challenge yourself to speed up or go farther. For example; challenge yourself to pedal at 2mph for 10 minutes. Or pedal at 3mph for 5 miles. Weight loss and fitness goals require a resistance of type. Either cardio resistance like running or walking, or weight resistance like cranking up the resistance level on the pedals of the bike. As mentioned previously the resistance is magnetic so it is quiet and can be cranked up pretty good. There are 8 levels and goes from easy to moderate. 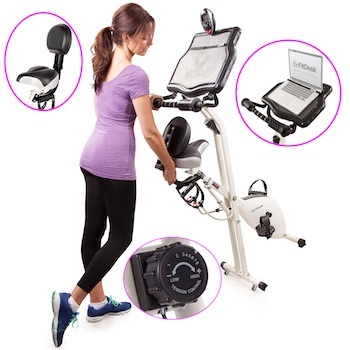 Keep in mind this bike was developed for work and exercise and isn’t an all – out commercial piece of fitness equipment. Expecting to be able to get the same workout as you do at the gym will leave you disappointed. You will likely need to drop $3k or more on a machine if thats what you want. The best way to get this is a nice spin bike and adapt a table to it. The pedals are a good quality heavy plastic with grips and straps to help prevent slipping. Is the FitDesk Easy to Assemble? Assembly of anything that comes in several pieces can be challenging. There is a detailed manual that comes with it but still most report they take more than 30 minutes to put it together. Some have even reported to take 2 hours. The manual itself can be a little confusing and the wrench that comes with it not quite adequate for the pedal assembly. Pedals need to be installed tightly using a hammer and a larger wrench. Sold all around the world with a fairy steady complimentary review track. The majority of the people are enjoying this desk bike and consider it a good investment. It gets used often and is recommended by the buyers to others. Made well and supported by the manufacturer. 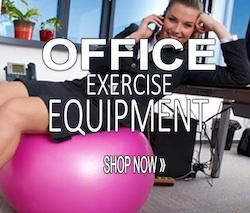 Getting active at work and maintaining a healthy lifestyle is made easier with office fitness equipment. Solid and enduring for short or long pedalling. Simple display console without app or heart rate monitor. Desk too narrow to use a mouse with normal size laptop. Takes a long time to assemble with difficult instructions. Hey Nasser – I like the Stel’Air Folding Desk Bike too. It is one of the more popular ones because it is so durable. I like the idea of being able to watch my videos on the laptop and pedal. This is a good idea.